The Woodlands is home to numerous first-class courses perfect for a golfer’s paradise. Among the courses available are the distinguished Canongate Courses, Palmer Course, Tournament Course, and the Player Course all part of The Woodlands Country Club. The Fazio Course and the Nicklaus Course are part of the prestigious Club at Carlton Woods. 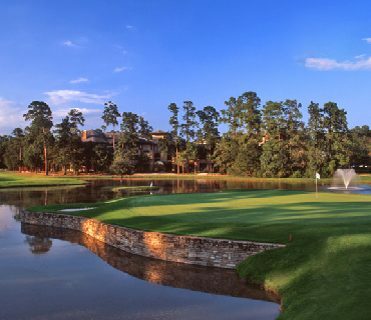 The Woodlands golf courses have hosted numerous tournaments and golfing professionals including Tiger Woods, Arnold Palmer, David Duval, and Jack Nicklaus over the years. Below, find a detailed list of golf courses in and around The Woodlands. Located right outside of The Woodlands this 18-hole golf club is open to the public and features 7,041 yards of golf from the longest tees for a par of 72. This 18-hole course with a par of 72 is perfect for all skill levels. It features 7,044 yards of golf from the longest tees with a breathtaking scenery. 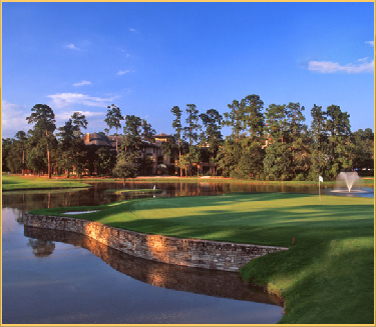 Known for its amazing 18th hole which has been honored as the “Best Par 4 in Houston”. It is ranked as one of the top 5 courses to play in the Houston area this 18-hole course provides 7,044 yards of green with a par of 72. Located outside The Woodlands, in Magnolia, Lake Windcrest opened in 2000 and offers astonishing well-maintained Tif-Eagle greens and ample fairways to provide an unforgettable experience. The “Cypress” course at the Cypresswood Golf Club opened in 1988 and is located right outside of The Woodlands in Spring, Texas. This course features 6,906 yards of golf from the longest tees for a par of 72 and a total of 18-holes. This course presents 18-holes and 6,458 yards of golf from the longest tees for a par of 71. It is located just outside The Woodlands in Spring, Texas. This Country Club is located in Conroe, about 15 miles north of The Woodlands. It offers 3 distinct courses; Augusta Course, Biloxi Course, and Charleston Course. The Augusta Course provides a 9-hole course of 3,421 yards of golf from the longest tees for a par of 36. The Biloxi Course provides a 9-hole course of 3,436 yards of golf from the longest tees for a par of 36. The Charleston Course provides a 9-hole course of 3,088 yards of golf from the longest tees for a par of 35. This 18-hole course features 4,279 yards of green from the blue tee markers with a par of 68 and is located just outside of The Woodlands in Spring. Carlton Woods Golf course provides golfers with a most unforgettable experience. It consists of two pristine golf courses of The Woodlands, the Fazio course and the Nicklaus course. The Fazio course is located within the Creekside Village. It offers a spectacular 18-hole course upon 7,358 yards of rolling hills and the bluffs of Spring Creek. Carlton Woods has been ranked at the top of the private golfing experience. Upon opening, it was named the “Best New Private Course in Texas” and “#3 Best New Private Courses in the U.S.”. It was a creation of the collaborating talents of Tom Fazio and Jack Nicklaus. The Nicklaus course offers 7,368 yards of golf from the longest tees for a par of 72. It has been ranked as the top course designed by Jack Nicklaus himself. The Woodlands Country Club offers a one of a kind experience with a total of 8 courses and 117 holes, spread throughout The Woodlands. Palmer Course– The Palmer course consists of 3 different courses, the “Deacon”, “General”, and “King” course. They all are 9-hole courses with an approximate 3,500 yards of golf from the longest tees for a par of 36. All three of the courses opened up in 1990 and were designed by Arnold Palmer. 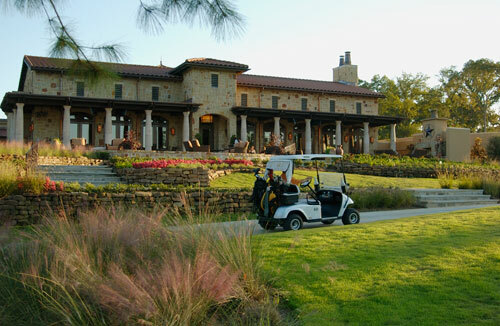 Tournament Course– This is an 18-hole course and features the hallmarks of Texas golf. Player Course– This is an 18-hole course that features everything you would expect from a Texan golf course. Located in Spring, Texas this course offers 6,919 yards of golf from the longest tee for a par of 72. Located in Montgomery, Texas this club offers 27-holes of 3 different courses. The Front course offers 6,834 yards of golf with a par of 72. The Back course offers 6,953 yards of golf with a par of 71. Lastly, the West course features 6,685 yards of golf with a par of 71.